Best kept secret at Pajaro Dunes is House 117! This house is located in the gated community at Pajaro Dunes which is has some of the most prestigious beaches in Northern California, offering miles of privates beaches to walk on and enjoy. 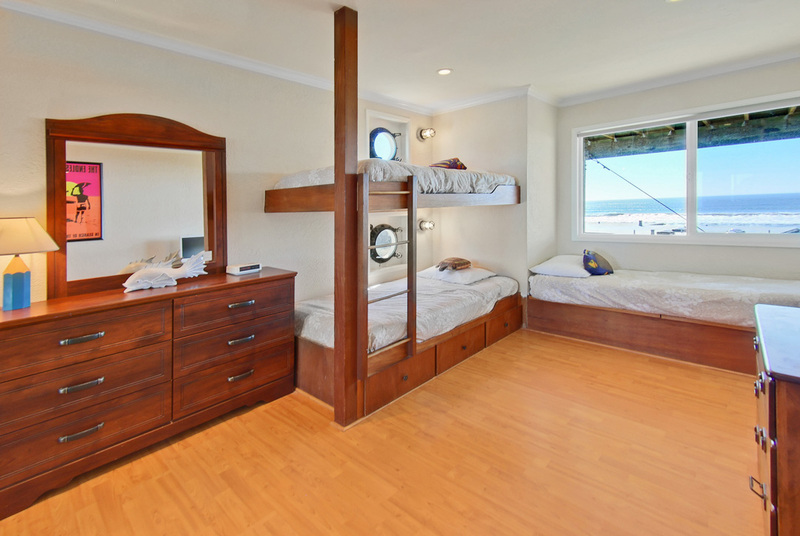 House 117 has everything a guest could want, with full ocean views from Santa Cruz to Monterey. House 117 offers a luxury stay at the Beach, where there is a fully equipped Kitchen for every gourmet needs. Flat screen TV's offered in all rooms, with HD TV in the living room with all the movie channels included. 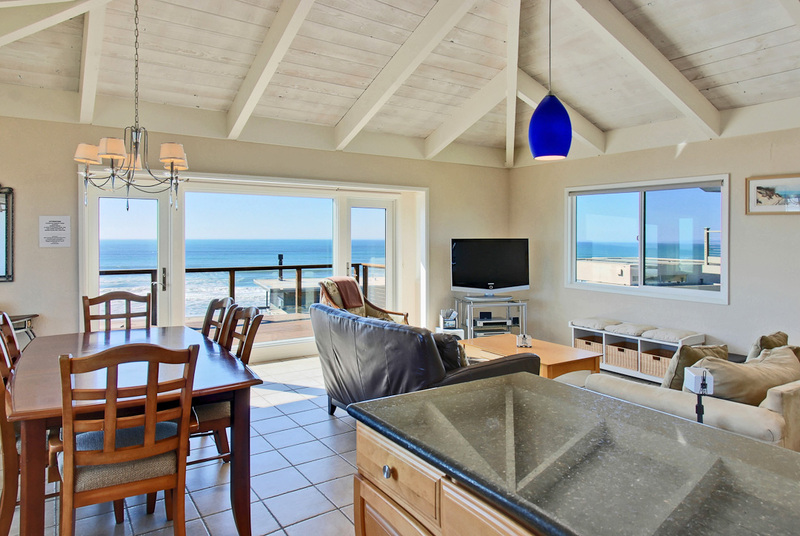 Not only does this house offer GREAT VIEWS at Pajaro Dunes on the Monterey Bay we always offer great deals during the off season 4 nights for 2 (excluding holidays). Come enjoy a weekend at one of the most prestigious beaches in California and leave all your stress and worries behind. This Pajaro Dunes home has amenities that include fully equipped kitchen, washer dryer, all linens and towels provided, free internet wireless with a desk top computer in home, cable TV in all the rooms, Charcoal Barbeque on back deck and lots of Ocean views!!! This home has 4 bedrooms with 2 bathrooms, granite kitchen counters and every bedroom faces the Ocean and at night let the ocean waves lullaby you to sleep. Pajaro Dunes Vacation Rentals house 117 has some of the best views at Pajaro Dunes. 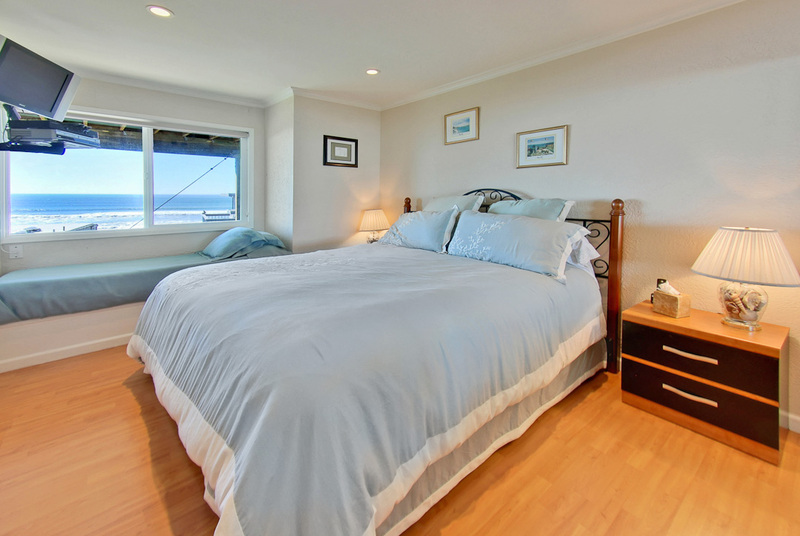 With a 300 hundred square foot deck over looking the Pacific Ocean our guest can see from Santa Cruz to Monterey. Pajaro Dunes is conveniently located South of Santa Cruz/Capitola and just north of Monterey/Carmel. Our staff strives to put the best product out for our guest; we always have an attention to detail and always looking to make your stay a memorable one. Please give us a call today at (1-866-856-2488 or 408-421-1224) and reserve the home for your next vacation and it will be a place you will come back to year after year. Pajaro Dunes Vacation Rentals house 117 is your home away from home on the beach.